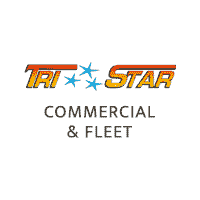 Welcome to Tri-Star Commercial Trucks Finance Department, your auto loan and commercial-vehicle lease resource. We’re eager to help you get the auto financing you need for your new, used, certified or business vehicle. Check out our online auto loan calculator for an instant vehicle loan rate. Or find the Tri-Star location nearest you and complete our easy online auto finance application in minutes! At Tri-Star Commercial Trucks we specialize in assisting commercial truck or business vehicle buyers with all types of credit including good credit, bad credit, no credit and first-time buyers. Over the years our Auto Group has built strong relationships with many auto financing resources. You can be sure we will work hard to find the right auto financing option for you. Our Finance team is standing by to help you have the best truck buying experience ever! Apply Now! By submitting this form you agree to be contacted by a Tri-Star Commercial Trucks staff member.